I have wondered a bit on what is required to be able to claim that I'm "an earthquake survivor"... Granted, there only were 5 or so deaths due to the quake in some capacity in the metropolitan Tokyo region, out of about 10 million or something, Mrs. Sunshine and Baby Sunshine can claim a little more than that since Chiba prefecture actually claimed 20 or so deaths and has a smaller population (don't ask me the details since I'll just embarrass myself with my lack of knowledge of my local area, but I guess maybe about 5 million or so). So yeah, I guess I'm a little more "great pacific earthquake survivor" than I'm an 9/11 survivor (although technically I did survive 9/11 too, being in Tokyo at the time and having just about a safe distance). But now we have finally finished the rebuilding in the Salaryman household after the damages we suffered during the quake. 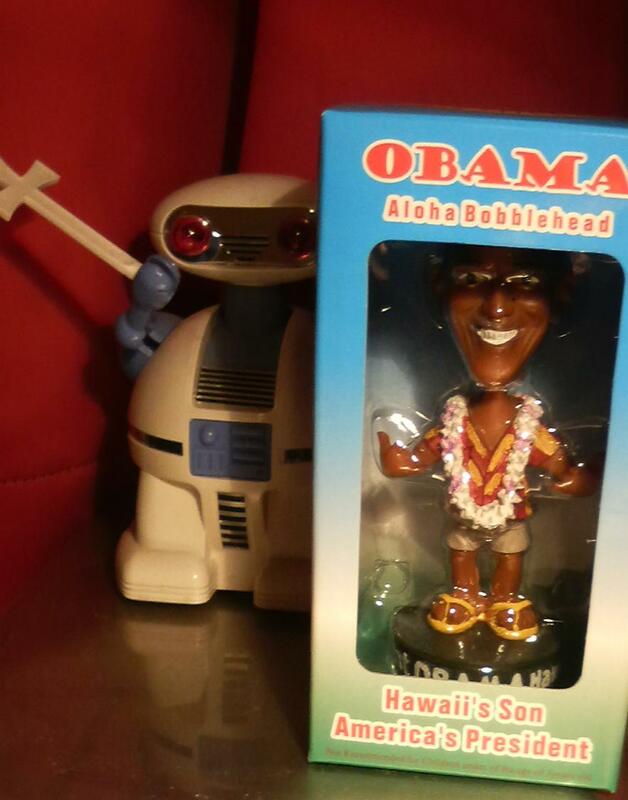 My computer actually crashed down into the floor but is strangely enough working fine with no urgent need to be replaced, but we had bought a Obama bobble-head doll during our honeymoon in Hawaii. This bobble head was half-jokingly referred to as our "earthquake barometer" since we always checked if his head was moving when we suspected an earthquake. However, as it turned out, the ABC Store (who seem to have a monopoly like hold of the Honolulu convenience and tourist shop market based on our honeymoon there) actually not only does mail order services, they also had the bobble head available for purchase! So now we have restored the order. If Obama's head is moving, then there likely is an earthquake. If he falls down and breaks his neck, it's a really big earthquake. Maybe we should recommend this to the Japanese Meteorological Agency who monitors the earthquakes in Japan?